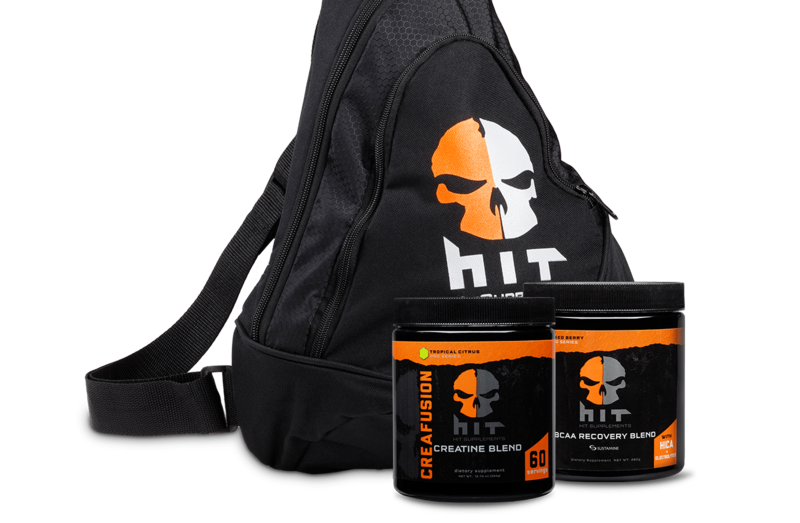 HIT Supplements is a fast-growing supplement brand founded by fitness enthusiasts who decided to take it upon themselves to create amazing tasting supplement products that work. HIT engaged with Brainstorm early on and we were fortunate enough to be along for the ride. From ad campaigns to packaging, social media to video, we’ve had so much fun with this brand. And, if it’s not too inappropriate, their products really are amazing. Check out their Peak Perform pre-workout and their Waffles & Syrup flavored Core Athlete (100% Grass Fed, Hormone Free Whey Protein). With so much competition targeting a relatively narrow vertical, HIT’s challenge was differentiating themselves from the masses, making a name for themselves amongst the industry powers that have been around much longer. What did they do? They drank a HIT protein shake, did some pull-ups, maxed out on deadlift and called Brainstorm Creative. 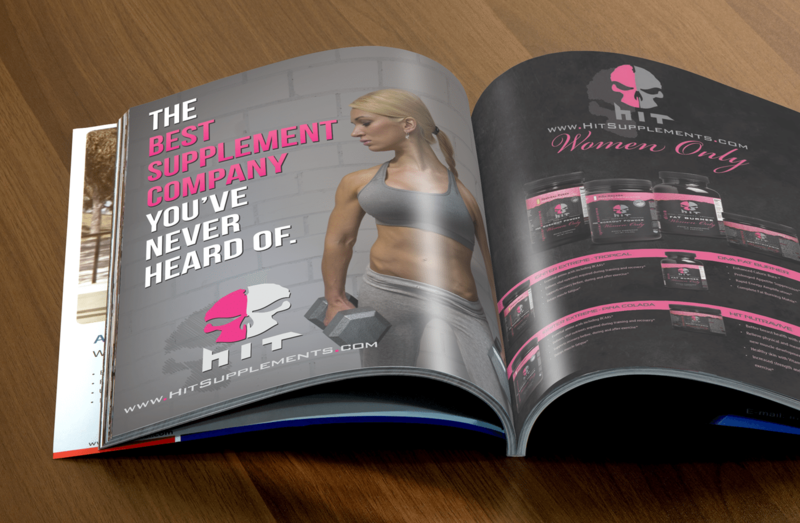 The growth of HIT was completely dependent upon their ability to create a lasting brand impression. The HIT logo is disruptive, aggressive, and tone-setter for the entire communications strategy. Having products that work, definitely helped reinforce those efforts, and have aided in sustaining HIT’s growth. 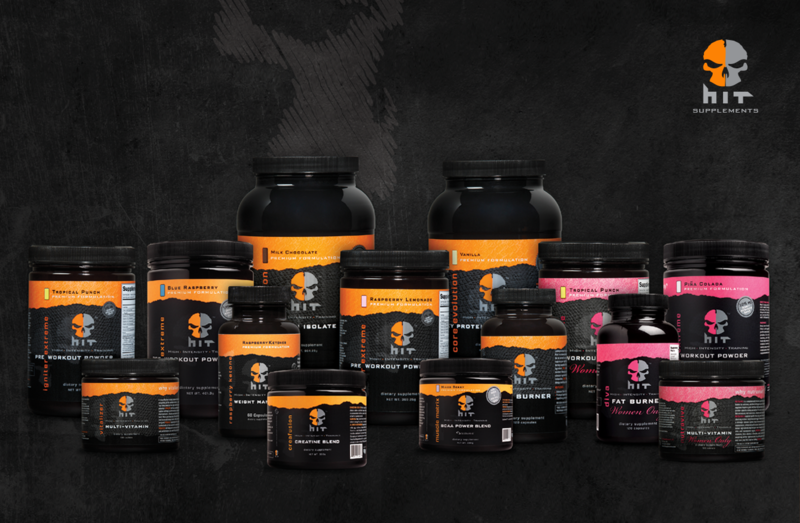 When you see a HIT ad, label, or post, you will see the skull logo front and center – it’s the disruptive element that sets the HIT brand apart..